The violence in the Mexico drug war has been escalating this year and particularly in recent months. Mexican drug cartels are fighting it out among themselves and against police and government troops, civilians in the firing line. Mexican president Calderón is putting blame on the USA, as it is the US demand for drugs that is fueling the organized crime. The violence is made worse by US firearms coming across the border. Looking at transits to the horoscope for Mexico shows very clearly why the violence has escalated recently. I’m using the chart for the current constitution of Mexico, 31 January 1917 at 4:00 pm . Pluto is god of the underworld and in mundane astrology he rules the underworld. The organized crime gangs, corruption and big time enterprise, all the dark and sinister stuff. For all of 2010, Transiting Pluto has been opposite the Mexico Pluto. This nation is experiencing it’s Pluto opposition, in Mexico we are seeing the destructive nature of Pluto play out. It’s an intense battle between large organisation, ruthless, power hungry, and it’s effecting the masses. Using precession correction of 78 minutes, the Pluto oppositions are 20 January, 30 June and 23 November 2010. The drug war in Mexico has intensified this year, a striking manifestation of this Pluto opposition. Other nations experience this Pluto opposition without such intense drama and bloodshed. Things have been made worse for Mexico because of the eclipses in the middle of the year. The June 2010 Lunar Eclipse was conjunct Pluto, so opposite the Mexico Pluto (47′). That put the focus on the underworld drug cartels for the rest of 2010. The government need a solutions, they have upped the ante with more troops. Pluto also rules massacres, and these have been in the news more and more recently. The July 2010 Solar Eclipse was conjunct the Mexico Ascendant (11′), bang. Not only is the focus on the underworld so strongly from transiting Pluto and the lunar eclipse, now the whole nation and it’s self image is on the line. The nation has an image problem. It’s a war zone and the violence escalating and spreading, getting closer to the capital. That combination of Pluto and consecutive eclipses has set the stage for a showdown in the Mexico drug war in the last half of 2010. The citizens of Mexico and their government are doing what they can, but everyone knows the real problem is the American demand for drugs. I don’t condone drug use at all, but if I lived in California I’d sure be voting yes for Proposition 19. Anything that helps reduce the power of the drug cartels and stops the massacres has to be a good thing. The forecast does look promising for Mexico. New eclipses starting the end of this year will take the spotlight off the drug wars, Pluto will move on and hopefully so will Mexico. 1. The Book of World Horoscopes, Nicholas Campion, 2004, p.254. Its like the instances of alignment are clouded and diminished by the lack of occurance. What to make of stuff not of squares and triangles. Shapes, odd shapes, things to come, listen and feel. As the sun goes quiet. I’m loving your recent comments Oliver, in the zone. Yeh, most everyone missed the allignment that brought about the tsunami in Indo. That pisses me off. But after death, new life. From now to Dec 7…time is open, a featureless spread of existence, anticipating the crescendo, an echo of the future. Our galaxy might start a speech, its our best opportunity to be found. If the Sun stays quiet, we will hear. I will be glad if I’m wrong. So when do things improve? 34 thousand dead so far in Mexico in this war that Calderon should never have started inside our territory and the distant war drums of USA through an “intervention due to national security” do not sound appealing. A few difficult years to get yet I think. 2014 looks like a major turning point for Mexico, Pluto square MC, Uranus conjunct MC. Uranus square Pluto is a major generational upheaval. 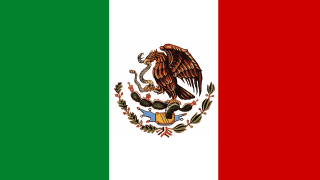 For Mexico this directly effect the MC, or Midheaven, which is the president and the whole government, as well as the pride of the nation. Also directly affected is the IC, representing land and housing, agriculture, and the opposition in parliament. So I would say the people will be just about fed up by then, food shortages, lack of housing, lawlessness. The government, even the system of government could be in for a big shake-up. Do things look better if instead of taking the date of the Constitution 1910 you take the date of Independence? 16 of September 1810. I did look at the Independence chart but it didn’t seem to describe current events as well as the newer chart. Wish I had better news, but Mexico is not alone in having a difficult future. I wish you all the best. May we all, the normal, decent, hard working people survive these days. 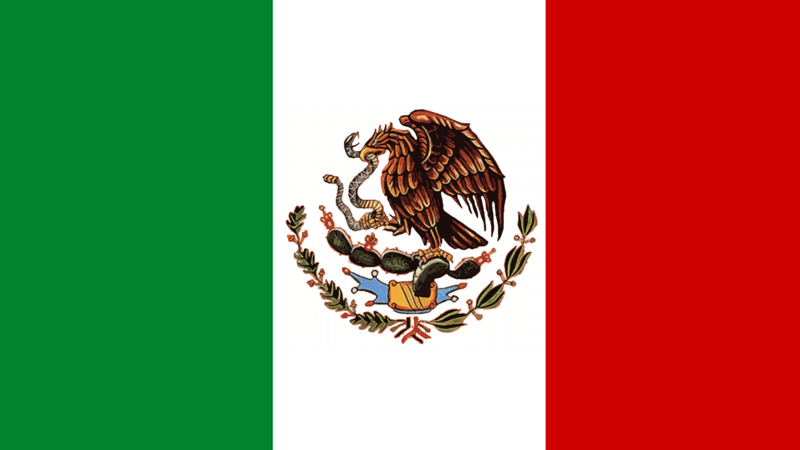 What´s your take on the fact that every 100 years Mexico goes through a transformation through violence and bloodshed. 1810 marks the independence, 1910 the beginning of the revolution and now 2010 has been the bloodies year so far in terms of the drug wars. What celestial body is behind all this? I am wondering if Sedna has anything to say here, since the majority of the people that are dying are men, and women are being forced to become heads of families and even heads of communities and cities. I´m sure there´s more in the works here that simple Pluto. And speaking of pluton…one must not forget that Mexico has several active volcanoes just waiting to be woken up. That’s interesting that cycle. Will have to do more research, don’t know of anything off hand in astrology that fits a 100 year cycle. Please do. i´d love to know what´s going on. Jamie–knowing that everything is connected with astrology, I searched for an article that could relate the events in Mexico with it’s mundane chart. I found your article and was impressed to read that a Pluto opposition occurred on January 20. You see, in January, the then allies Gulf Cartel and Los Zetas had a falling out when a Gulf member killed a high ranking Zeta that same month. The Zetas organization gave the Gulf an ultimatum to hand over the perpetrators by January 25, at which date the war between the two cartels was on, all of which occurred around the Pluto opposition. The Zeta leader was killed on January 18, on January 20 the Pluto opposition, by January 25, ultimatum had come and gone, and the two large organizations were then at war. I haven’t looked into the other conjunctions later that year, but I wouldn’t be surprised to find…. Hi Franco. I’ve been watching the updates on the news. It seems never ending at the moment. Very Plutonic like you mention, crime gangs, drugs, death. Gee I hope there is some kind of resolution for you guys. Is there any information on Mexico’s election in July 2012? ?